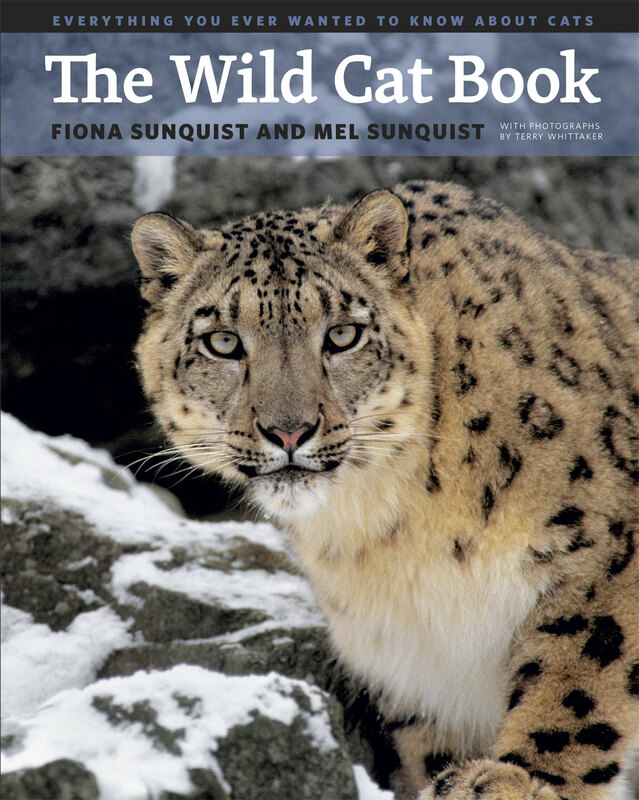 See sample pages from the book (PDF format) and photographs of rare cats. Illustrated throughout with Terry Whittaker’s spectacular color photographs as well as unique photos from biologists in the field—some the highest quality images ever captured of exceptionally rare species—The Wild Cat Book not only tantalizes with the beauty of cats, but also serves as a valuable and accessible reference on cat behavior and conservation. Comprehensive entries for each of the thirty-seven cat species include color distribution maps and up-to-date information related to the species’ IUCN conservation and management statuses, while informative sidebars reveal why male lions have manes (and why dark manes are sexiest), how cats see with their whiskers, the truth behind our obsession with white lions and tigers, and why cats can’t be vegetarians. The Wild Cat Book also highlights the grave threats faced by the world’s wild cats—from habitat destruction to human persecution. From the extraordinary acrobatics of the arboreal margay—able to cling to a tree branch by a single paw thanks to its unusually flexible ankles—to modern declines in African lion populations, The Wild Cat Book is an instructive and revealing ode to felines of every size and color. Combining science, behavioral observations, and stunning photography, this book will captivate cat fanciers the world over. George B. Schaller, Panthera and the Wildlife Conservation Society | author of "The Serengeti Lion: A Study of Predator-Prey Relations"
Alan Rabinowitz, CEO of Panthera | author of "Life in the Valley of Death: The Fight to Save Tigers in a Land of Guns, Gold, and Greed"
James G. Sanderson, Small Wild Cat Conservation Foundation | coauthor of "Small Wild Cats: The Animal Answer Guide"